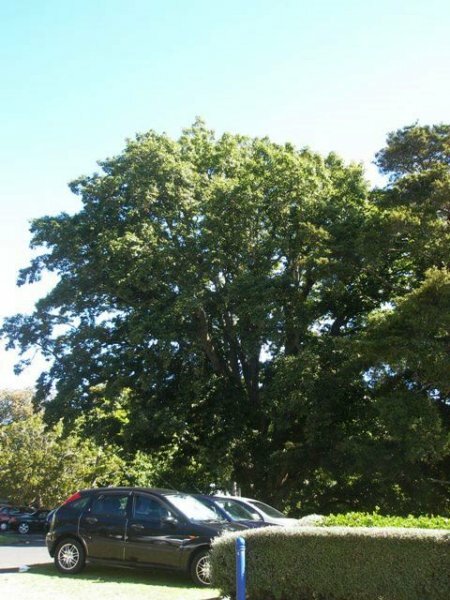 This fine tree is located on a modified, west-facing, retained, grassed escarpment on the western side of 'Roselle' the former Wilson homestead, now the Saint Kentigern School administration building. 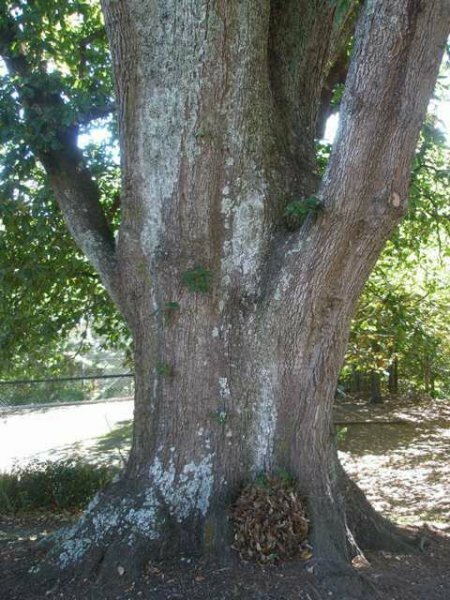 Both the tree and the homestead are listed in the Auckland Isthmus District Plan, the latter also being a category 2 listing with the NZ Historic Places Trust. Historic Places Trust, register number 638. Saint Kentigern School, history notes. Burstall, S.W. and Sale, E.V. (1984) Great Trees of New Zealand, feature tree 17, page 50. The tree appears to be very healthy. 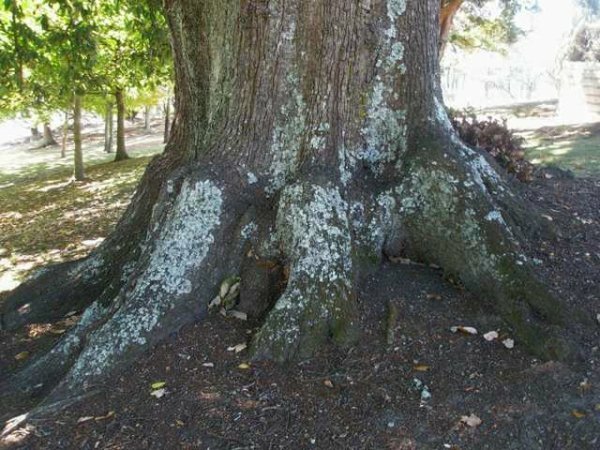 'Knuckles' on the buttress roots indicate that the tree may have been grafted. 09 Apr 2013 Boucher, C.
Located on the western side of the old homestead.